This book is a critical study of the Sanskrit trans-creation of Vicarasagara-by Vasudeva Brahmendra Sarasvati-of Niscaladasa in one of the dialects of Hindi and its tippani by Pitambar, again in the same dialect, imparting a unique teaching technique of Advaita to different types of aspirants. The book thus unfolds the teaching of Advaita depending on the need of different types of seekers-uttama, madhyama and kanistha adhikaris. 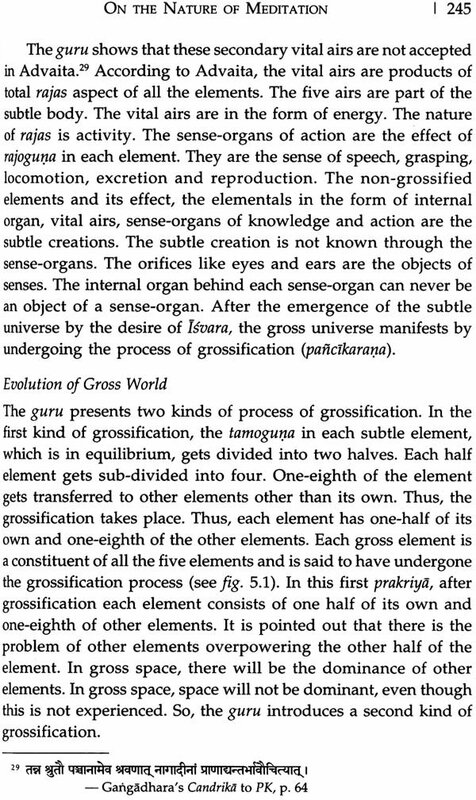 The volume focuses on two layers of concerns: first, of the appropriate modifications made by the trans-creator using simple Sanskrit and second, in the dialogue between the guru and the different adhikaris. This critical study introduces us to: (i) the life and work of Niscaladasa, Pitambar and Vasudeva Brahmendra; (ii) emergence of adhikari-based pedagogy system; and (iii) the employment of pedagogical tools by the guru, depending upon the character and needs of the seeker. The related question and discussions found in different tarangas of Vicarasagara are pooled in and presented in a cohesive manner to arrive at the core of Niscaladasa’s work. It also delves deep into topics such as meditation and its efficacy as a means to gradual liberation, and the nature of liberation. The book, therefore, introduces the well-defined concepts of Vedanta in simple pedagogical way as dialogue between the preceptor and the student, helping even layman to understand the nuances of Advaita, otherwise a hard subject to digest and grasp. S. Bhuvaneshwari (b. 1976) has been studying the Prasthanatraya, Bhasya and Advaita Prakaranas from Swami Paramarthananda Sarasvati of Chennaj since 1994. Having obtained a BA in Economics and MA in public Administration, she later branched out and procured her Masters in Philosophy and Sanskrit as well. She is a Gold Medalist in MA Philosophy from the Department of Philosophy, University of Madras (2004-06). She is the recipient of University Research Fellowship for her Doctorate at the Department of Sanskrit, University of Madras (2009-10) and was awarded Ph.D. (2010) for her study on the Sanskrit text Vicarasagara. Her other area of interest is Philosophy of Art, especially the aesthetic theories of Bharata, Abinavagupta and Hegel, and has been teaching Aesthetics and Indian Philosophy as guest lecturer in various reputed institutions in Chennai since 1997. The desire to seek happiness is basic in all individuals, but the ability to recognize what makes one happy, and the means of attaining it are rare. While some seek money, fame and power, hopping that will these will lead to happiness, others may choose to renounce worldly life in the hope of attaining peace. Restlessness in individual lives is unavoidable since alternating joy and sorrow make pace tranquillity, distant dream. To overcome this endless plight one should ponder over the nature and purpose of one’s existence, and engage in atmavicara. The Upanisads are the sources of highest knowledge and it is divine grace that fosters the desire to pursue this knowledge that leads to liberation. The premise of the teachings in the Upanisads rests on the ability of human understanding to strive for enlightenment. In this context, the role of preceptors who can unravel the goal of life and guide one towards attaining it becomes very significant. Great preceptors like Adi Sankara have analysed, interpreted and explained the hidden meanings in the Upanisads wherein is contained the esoteric and useful information about life here and hereafter and of the path to liberation. The teachings of Advaita that emanated from Adi Sankara have reached several preceptors of Advaita, to be interpreted and explained in various ways. These preceptors, however, were cautious in maintaining preferences but no exclusions. Their views were centred promulgating that Brahman alone is real; the world is false and the individual self is no other than Brahman. In other words, in their teachings the core remains to be the same while the periphery keeps changing. 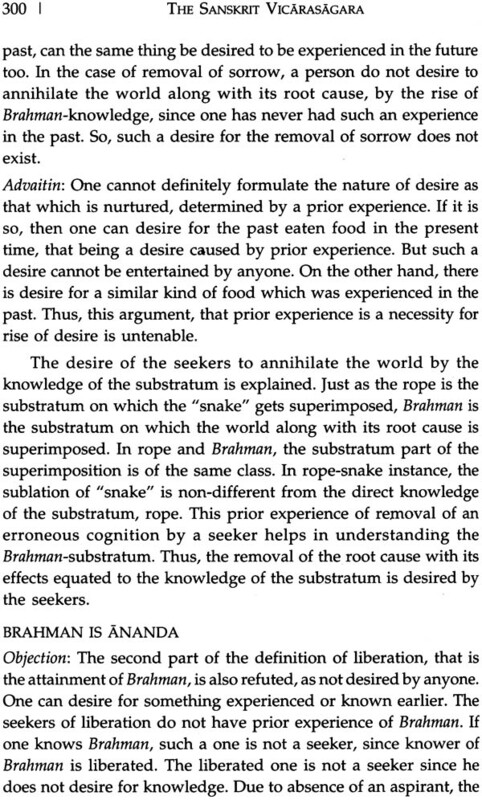 In fact, this paved the way for diversified views within Advaita. 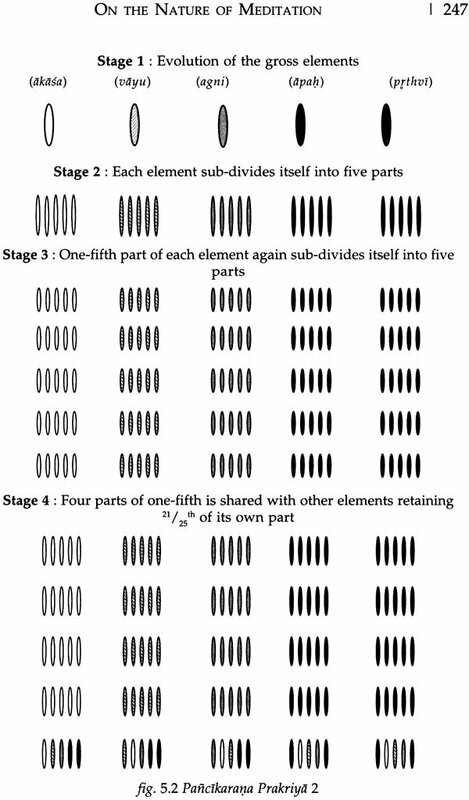 Therefore, the philosophy of Advaita may be characterized as pointing to unity in diversity. 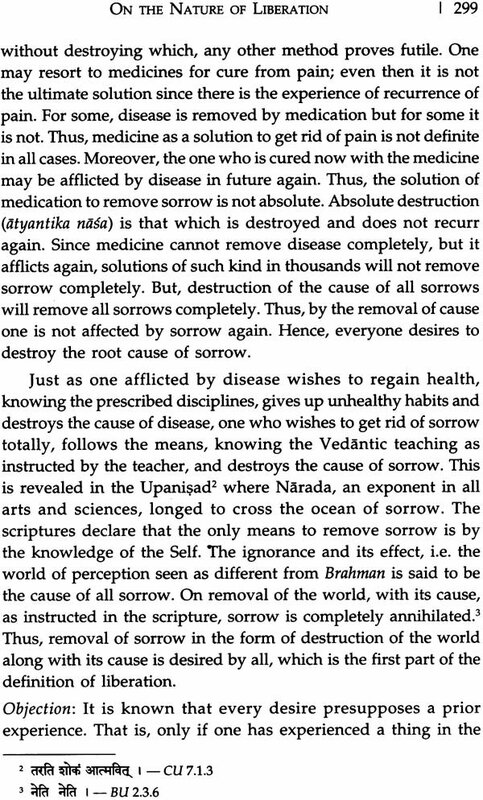 This is precisely the lesson that Niscaladasa and Vasudeva Brahmendra Sarasvati have impressed upon in their Vicarasagara. Of these two writers the former wrote the original work in Hindi, while the latter trans-created it in Sanskrit with the needed additional notes. 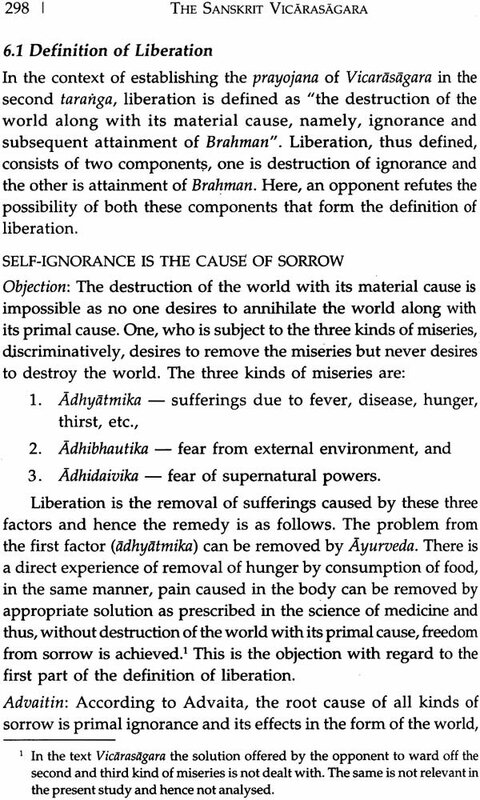 Niscaladasa adheres to this principle and, therefore, has taken a novel approach and classified the seekers of knowledge or aspirants of liberation (adhikari) as uttama, madhyama and kanistha in resonance with their level of understanding. This shows the concern and large-heartedness of the preceptors in their fellow beings. It redounds to the credit of Vasudeva Brahmendra to have made it available in Sanskrit for those unfamiliar with Hindi. In the contemporary scenario there is a growing interest among young scholars in Indian Philosophy and it is a matter of real gratification. Indian philosophy has at last come to be valued for its own sake. This reawakened interest in the subject is sure to lead to a deeper understanding of its knowledge. I am sure that Niscaladasa’s Vicarasagara and Vasudeva Brahmendra’s transcreation thereon have given a right direction to the future reconstruction of philosophic in India by means of this novel approach. Dr S. Bhuvaneshwari has thoughtfully chosen this topic for her research to fulfil the need of the hour. The treatment of topics is exhaustive, and she has set forth the great variety of solutions of nearly all the philosophic problems clearly and carefully. The book is well written in six chapters and it gives a remarkably clear and comprehensive account of Niscaladasa’s views. The book contains diagrammatic representations and charts. The get up, it is scarcely necessary to add, is excellent. I hope we can expect many more Publications of this kind from Dr Bhuvaneshwari. I heartily recommend this Publication to all those who are desirous of acquainting themselves with the essentials of this important system of thought. I wish her all success. The text Vicarasagara authored by Niscaladasa (eighteenth-nineteenth century CE) in one of the regional dialects of Hindi is well known for its unique approach in imparting the teaching of Advaita to different kinds of aspirants. Pitambar (nineteenth century CE) has provided notes (tippanis) again in regional dialect of Hindi. This text has been well-received throughout India through its translations in regional languages like Telugu, Tamil and Bengali, including a translation into Sanskrit by Vasudeva Brahmendra Sarasvati (nineteenth-twentieth century CE). 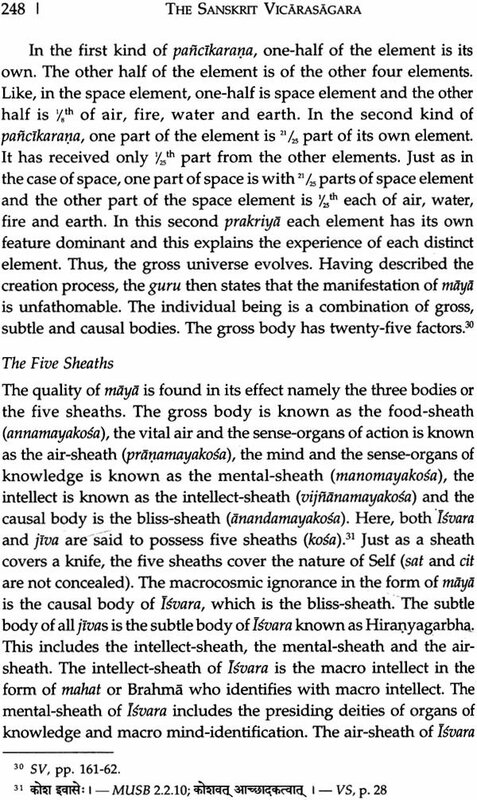 The present study is based on this Sanskrit version of Vicarasagara. The Sanskrit Vicarasagara was popularized in the city of Chennai by (Late) Kalyanasundara Sastrigal, one of the editors of this text in the 1990. It has also been systematically taught in Sanskrit by Swami Paramarthananda Sarasvati, in Chennai, during the period from 21 February 1997 to 5 August 2005, in 307 classes (each class exactly of duration of one hour). 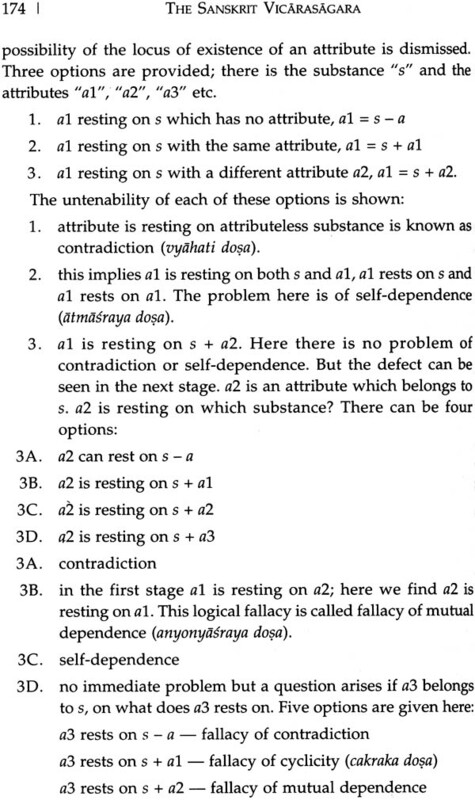 He continues to teach the same in English (from 17 December 2011 onwards). This book has been developed based on the classes conducted by Swami Paramarthananda in Sanskrit. 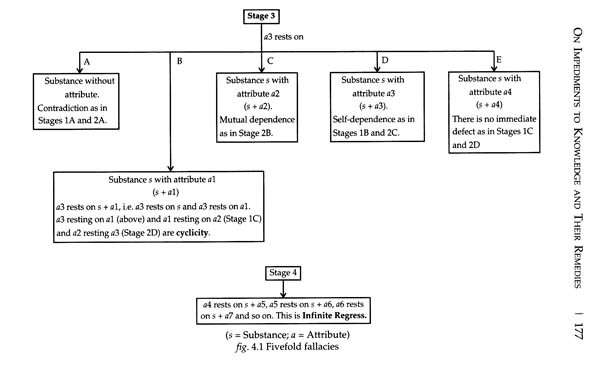 The result of this study is the identification of the importance of the triple concept, viz. Pedagogy, language and interpretation as demonstrated in the text Vicarasagara. This study is a gradual shift from the student-based pedagogy to the pedagogical concern of the teacher as exhibited in the text Vicarasagara. 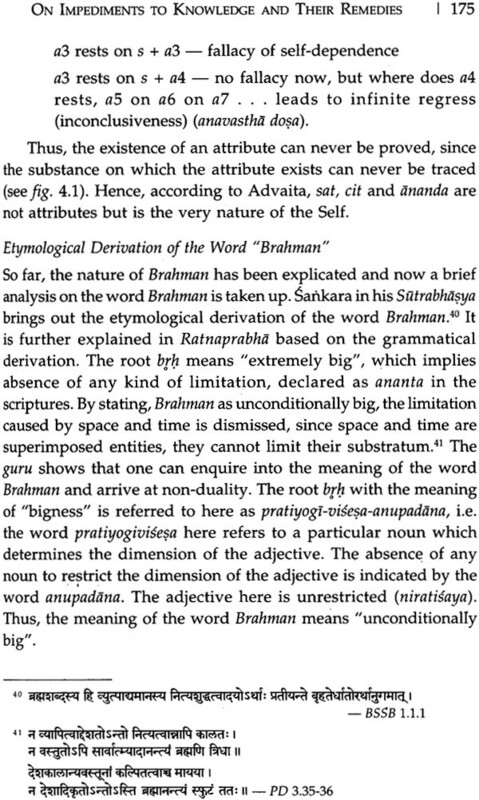 The position of the Sanskrit version as a “trans-creation” and that of Vasudeva Brahmendra as a “trans-creator” has been amply justified in order to arrive at a double-layered “pedagogical concern” found in the Sanskrit Vicarasagara. The first layer of concern can be discerned from the trans-creator Vasudeva Brahmendra, who had taken up a stupendous task of “translating” Hindi work into “simple” Sanskrit, knowledge of Sanskrit language. The second layer of concern is revealed in the work through a dialogue between the guru and the different adhikaris, viz. 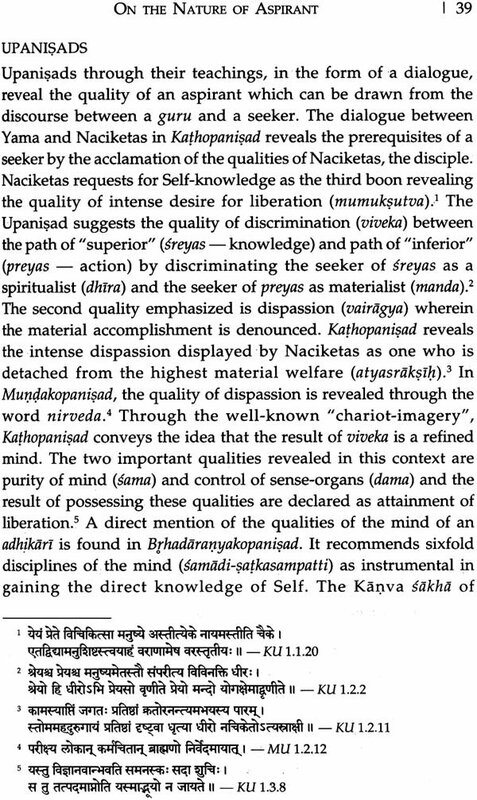 Uttama, madhyama and kanistha, through which the teaching of Advaita is unfolded depending upon the need of the seeker. The present study is an earnest attempt to extract this double-layered pedagogical concern, a study of which serves as a model to adopted in our modern education system. It also attempts to genuinely venture into a “textual study” to highlight “pedagogy” as an important element in the “Philosophy of Education” or rather an “Education of Philosophy”. The present study is developed through six chapters wherein I have given a title (in Sanskrit) to each chapter based on the predominant aspect discussed in that particular chapter. 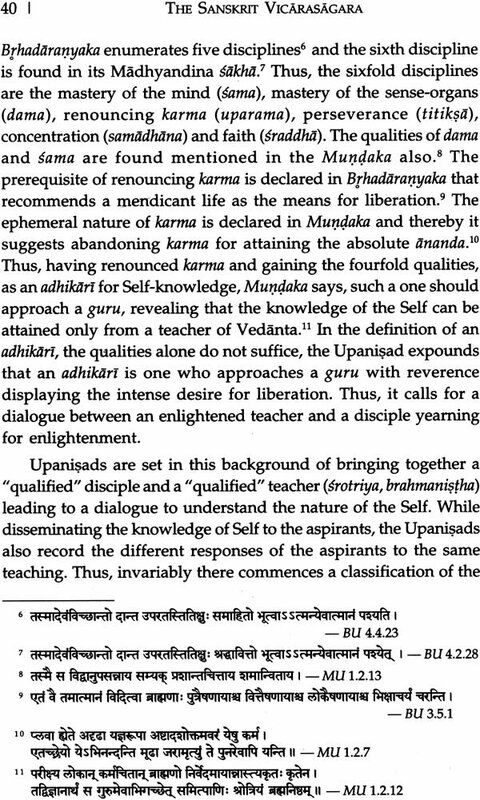 In the first introductory chapter “Upodghata”, we shall find a detailed discussion on the life and works of the author Niscaladasa, tippanikara Pitambar and the trans-creator Vasudeva Brahmendra. The triple concept of pedagogy, language and interpretation as found in the Vicarasagara is examined with suitable examples. The contribution of Vasudeva Brahmendra in his Sanskrit Vicarasagara is discussed with instances and also the reasons for choosing the same for the present study are amply are justified. 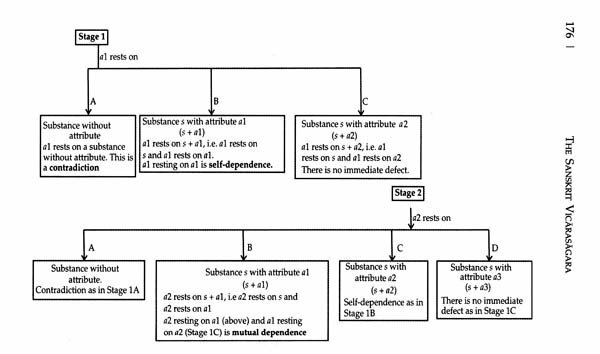 The concept of adhikari-based pedagogy has been briefly explained. 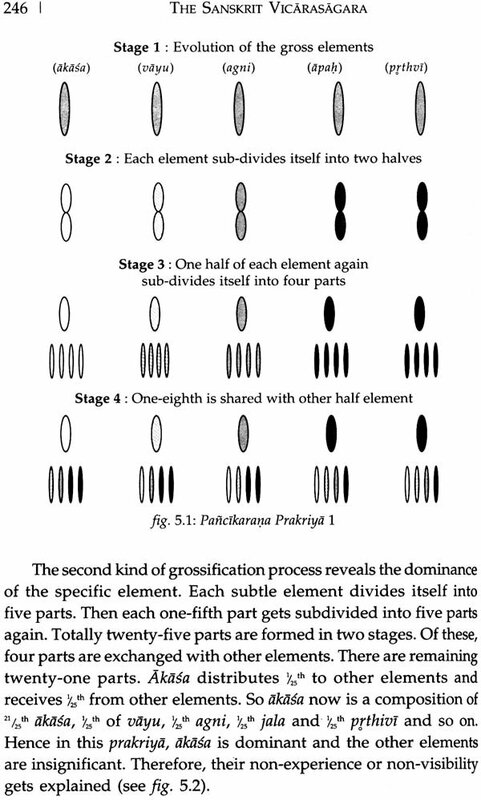 The second chapter “Adhikarisvarupaprakarana”, begins with a survey of the nature and classification of adhikaris as found in the tradition of Advaita. In this survey a slow emergence of adhikari-based pedagogy is highlighted. 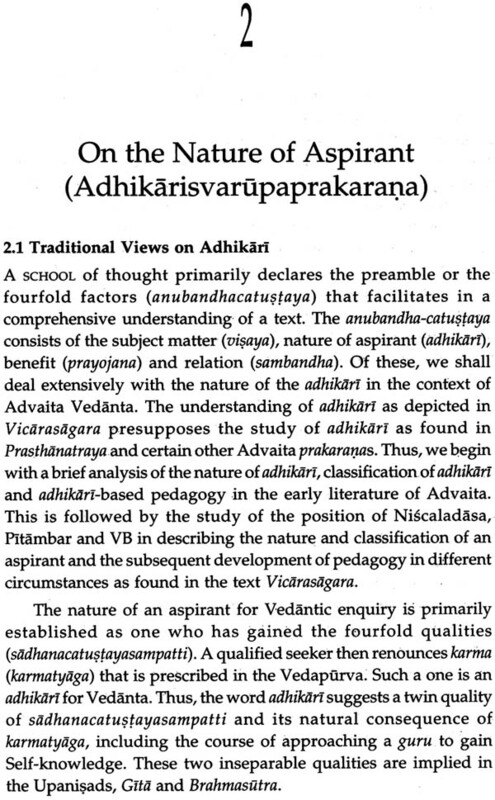 The perspectives of Niscaladasa and Pitambar on the nature and classification of adhikaris are studies from the original Vicarasagara and that of Vasudeva Brahmendra from the Sanskrit Vicarasagara. 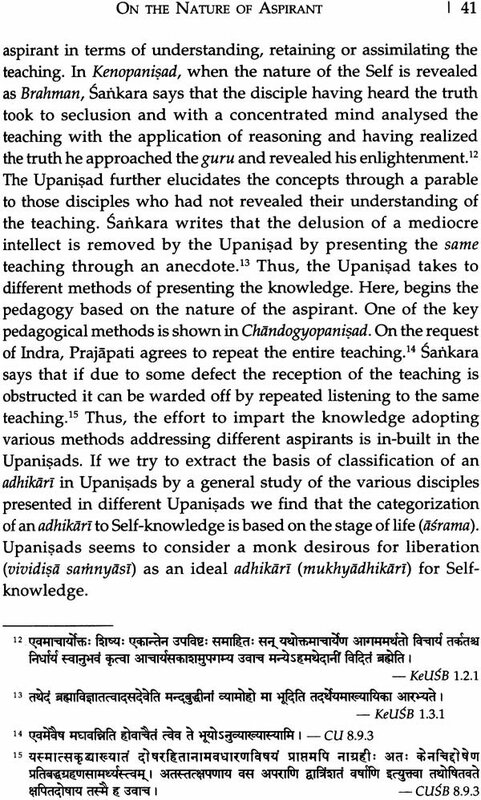 Thereafter, the difficulty in defining and classifying the adhikaris in Vicarasagara is pointed out and the proposition to treat the text Vicarasagara as pedagogic centric is enunciated.